I offer a holistic veterinary service, using natural medicine and dietary advice to improve your pets health and wellbeing. My advice and treatments are designed to work alongside your vet's treatment regime to bring a complete service individualised to each pet. Owned by Dr Jacqui Snell, a vet with 30 years experience, I work remotely all over New Zealand, mainly by phone consultations. ​I provide advice alongside your primary vet, based on holistic treatment principles and therapies. What Animals and Conditions can benefit? Veterinary holistic medicine works for all animals. My service is best suited to companion animals and has proven especially helpful to people who have been unable to find the right remedy for their pet from traditional veterinary medicine. Veterinary holistic medicine can be helpful in supporting and treating most issues facing pets. "The objective is to provide the highest standard of holistic healthcare. Grounded in expertise, passion and a desire to bring a different model that truly embraces total health and well being of pets, everywhere." The philosophy is to enhance animal health with an emphasis on prevention, treatment and attaining optimal lifelong health through the use of Natural Medicines that supports the body’s innate ability to heal itself. ​Read more about our philosophy. ​Read more about our approach. Meet Flash. Flash was purchased as a farm dog at the age of six years. He was emaciated on arrival, he also presented with old injuries to the left eye and numerous scars secondary to previous wounds. He also took a while to settle into his new environment expressing anxiety and aggression at times. Jacqui is passionate about holistic veterinary medicine and taking the leap to establish Veterinary Holistic Healthcare in 2018 was the natural next step in her 30 year career. 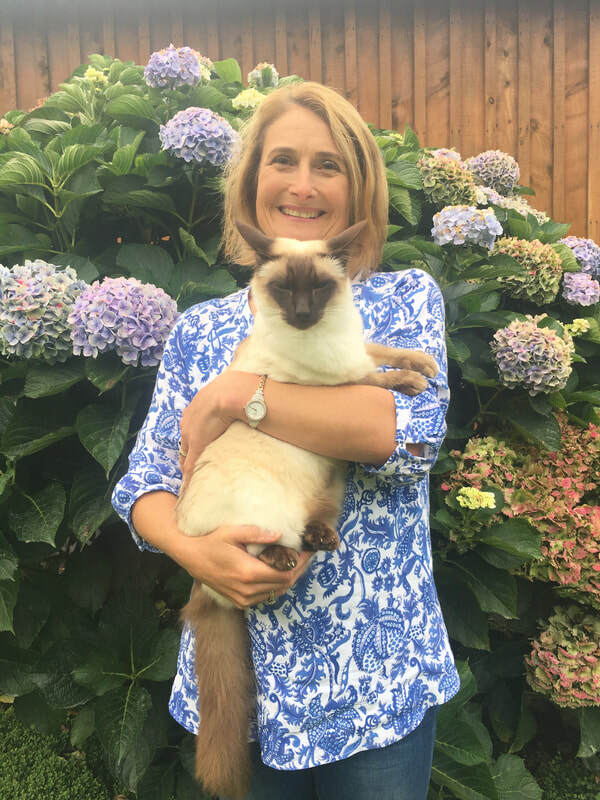 ​Jacqui has practiced as a Companion Animal Veterinarian in Wellington, England, Hawkes Bay and most recently in Tauranga. For a large part of her career she owned a veterinary practice in Taradale. In VHHC she combines her skill and passion to deliver a holistic approach that she believes will truly increase the quality of life, vitality and well being of your pet. We noticed our 6 year old Labraspoodle, Clive was looking stiff when he went from sitting to standing and was occasionally crying when his upper back was touched. We reached out to Jacqui who could immediately see he had pulled a muscle in his upper back and had pain in his hips. Jacqui firstly treated the muscle and once this was sorted focused on the hips which were still painful. Jacqui educated us on inflammatory foods to avoid (we were feeding Clive raw meat that contained preservatives and biscuits) and designed a new food regime including herbal medicine. Two months after adopting this plan Clive has no detectable pain in his hips. He is bouncing around and seems a lot freer in his movement. Jacqui's advice was amazingly detailed and insightful and her remote consultation model exceeded our expectations. © Copyright Veterinary Holistic Healthcare. All Rights Reserved.